Members of the Alfano research team study the strategies plant pathogens employ to cause diseases in plants. As a model system, the team studies the gram-negative bacterial plant pathogen Pseudomonas syringae and its interactions with plants. An important feature of P. syringae that allows it to grow in plants is the type III protein secretion system. This protein secretion system is found in many gram-negative bacterial pathogens of both plants and animals and other bacteria in close association with eukaryotic organisms. Type III systems inject or translocate bacterial proteins, called type III effectors, into eukaryotic cells. 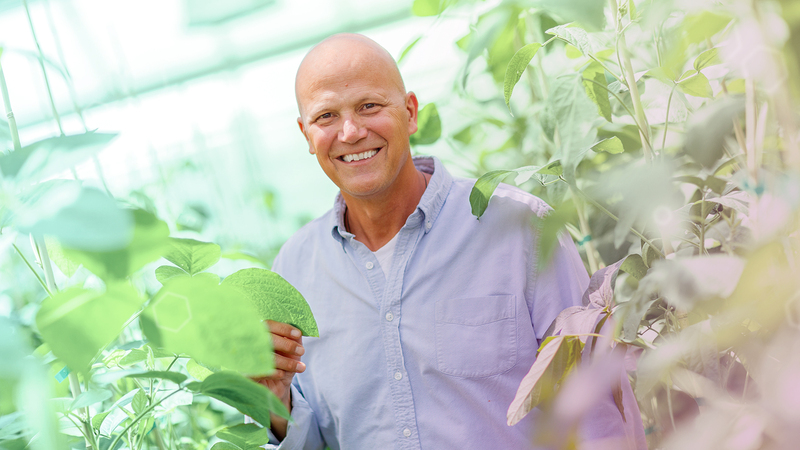 The Alfano research group and others have found that because type III effectors suppress plant immunity, they are excellent tools for exploring the plant immune system. The Alfano research group also studies other plant pathogens and have recently initiated studies on plant microbiomes, the collection of microbes that live on or in plants.